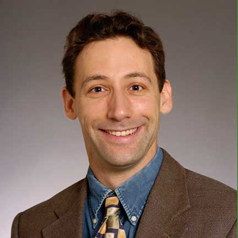 Seth Blumsack is Professor in the Department of Energy and Mineral Engineering; an Adjunct Research Professor at the Carnegie Mellon Electricity Industry Center; and is on the External Faculty of the Santa Fe Institute. His work focuses on policy-relevant engineering, environmental and economic research for the energy, electric power and transportation industries. He also performs research in the area of complex engineered infrastructure networks. Dr. Blumsack's research agenda is highly interdisciplinary and problem-driven. Before returning to academia, he served as a journalist and consultant for Economic Insight, Inc., where he was a contributing editor for the Energy Market Report and Pacific West Oil Data. He has authored or co-authored more than twenty scientific and policy articles and book chapters. His work on restructured electricity markets has been cited in The New York Times and the Pittsburgh Post-Gazette, and his writing for the Energy Market Report on California’s energy crisis has been cited in the Los Angeles Times as well as in The Smartest Guys in the Room. He is currently the John R. Ryan Jr. Faculty Fellow in the College of Earth and Mineral Sciences.